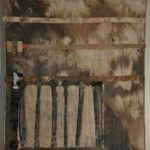 Rains: walnut dye and textile paint and misc. 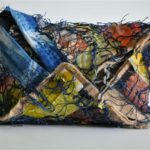 Marilyn received an MFA in Textiles from Eastern Michigan University in 2005. She has a BA in printmaking from the University of Toledo and an AS with a fine art focus from Monroe County Community College. 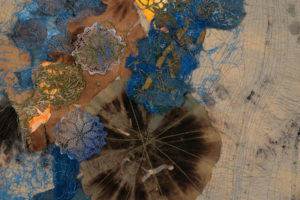 She has been working in fibers since 2001 and collagraph printmaking since 1988. Marilyn’s quilts and prints have been exhibited in group and solo shows and they have been juried into local, regional and national venues. 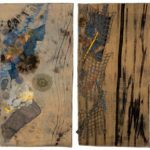 She gives artist talks, teaches fiber and printmaking workshops and has been a guest lecturer at Wayne State University, Adrian College, Longwood University in Farmville, Virginia and the University of Central Missouri. Marilyn is a member of Studio Art Quilt Associates, Handweavers Guild of America, Michigan League of Handweavers and Ann Arbor Fiberarts Guild. “It took me 23 years of part-time studies to realize my master of fine art degree in 2005. 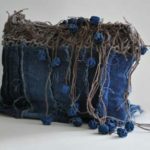 In 2001 at Eastern Michigan University, with printmaking my graduate study concentration, I happened upon an elective credit course in dyes and fiber. I fell in love. My MFA plans quickly changed focus to textiles. 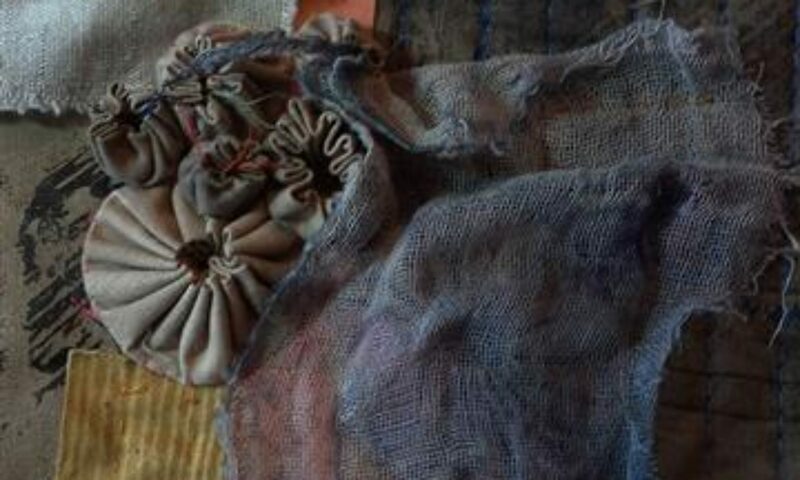 Fibers answered a variety of mixed media interests; as well as, a longtime love of handwork. 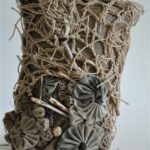 I still love to print but fiberart is my main focus. For me a variety of interests keeps the art fresh and interesting. With an assortment of ‘tools’ I’m constantly thinking — what if – a sense of play in exploration is important to me.